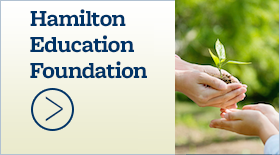 HFAC celebrates music icons McCartney, Elvis, Blues Brothers - Hamilton School District. 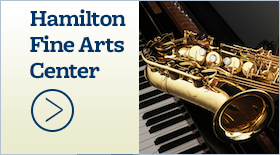 The 2016-17 Hamilton Fine Arts Center (HFAC) performing arts season celebrates the music of some of the greatest icons in music history, including Paul McCartney, Elvis Presley, the Blues Brothers and more. Thurs., Nov. 17 at 7 p.m. Enjoy this international touring production recreating McCartney’s music in a three-hour concert and light show. Note-for-note, the harmonies and riffs of every song are played live and to the standard set by McCartney himself in the early 1970s. Songs include hits “Hey Jude,” “Jet,” “Let It Be,” “Band On The Run,” “The Long And Winding Road,” “Live And Let Die,” “Lady Madonna” and many more. 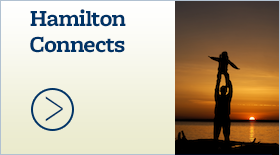 This performance features the Hamilton High School Choir, directed by Marilyn Mascetti. Reserved seating tickets are $25. Group rates are available. Add $5 for all tickets purchased on day of the show. Sat., Dec. 3 at 7 p.m. Award-winning music artist Tony Rocker and the Comeback Special is back by popular demand just in time to celebrate the holidays and perform your favorite Elvis tunes and holiday favorites. From the painfully detailed replicated costumes to the vocal precision and popular swagger, Tony offers a fantastically fun evening celebrating the King. Reserved seating tickets are $25. Group are rates available. Add $5 for all tickets purchased on day of the show. Fri., April 7, 2017 at 7 p.m. Sanctioned by Dan Aykroyd and John Belushi to don the official hat and sunglasses and walk in the legendary footsteps of Jake and Elwood Blues, Catnia and Lafferty capture the infectious humor and unbridled spirit of the Blues Brothers. Backed by a powerhouse band, they’ll give you a show to remember featuring “Soul Man,” “Rubber Biscuit,” “Sweet Home Chicago” and more. Reserved seating tickets are $25. Group rates are available. Add $5 for all tickets purchased on day of the show. Thur.–Sat., Nov. 10-12 at 7 p.m. and Sun., Nov. 13 at 2 p.m.
“Harvey” is a 1944 Pulitzer Prize-winning play by Mary Chase. The story follows Elwood P. Dowd, a man who maintains a close friendship with Harvey, a six-foot, three-and-one-half-inch tall invisible white rabbit. Elwood introduces his friend to everyone, much to the chagrin of his sister. In order to save the family’s reputation, Elwood’s sister takes him to the local sanatorium. Chaos ensues when the young handsome doctor mistakenly commits Elwood’s anxiety-ridden sister, and Elwood and Harvey escape. Come see the family-friendly laugh-out-loud play “Harvey,” presented by the Hamilton High School Drama Club. 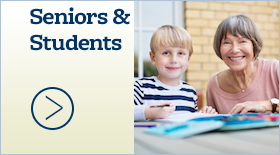 General seating tickets are $8 for adults and $5 for senior citizens (age 60+) and students under age 18. Sun., Dec. 11 at 3 p.m.
“Christmas at the Movies” features your favorite music of holiday films including “The Polar Express,” “White Christmas” and “Walking in the Air.” General seating tickets are $15 for adults and $12 for senior citizens (age 65+) and $6 for students under age 18. Thur., April 6 at 7 p.m. The African savannah is coming to life on the stage of the Hamilton Fine Arts Center with Simba, Rafiki and an unforgettable cast of characters as they journey from Pride Rock to the jungle and back again in this inspiring, coming-of-age tale. Join the Templeton Middle School Eighth Grade Chorus, under the direction of Jaye Mier, in this delightful theatrical event for the whole family that features classics like “Hakuna Matata,” “I Just Can’t Wait to be King” and “Can You Feel the Love Tonight” from the musical team of Elton John and Tim Rice. General seating tickets are $7 and free for children under age 5 and Golden Agers Pass holders. This performance will proudly showcase the first and second place winners of the young artist competition, Manuel Landin and Alexander Zhu. Orchestral repertoire includes Barber’s famous “Adagio for Strings” and dramatic treats by Aaron Copland. General seating tickets are $15 for adults and $12 for senior citizens (age 65+) and $6 for students under age 18. This entry was posted in HFAC, News releases. Bookmark the permalink.